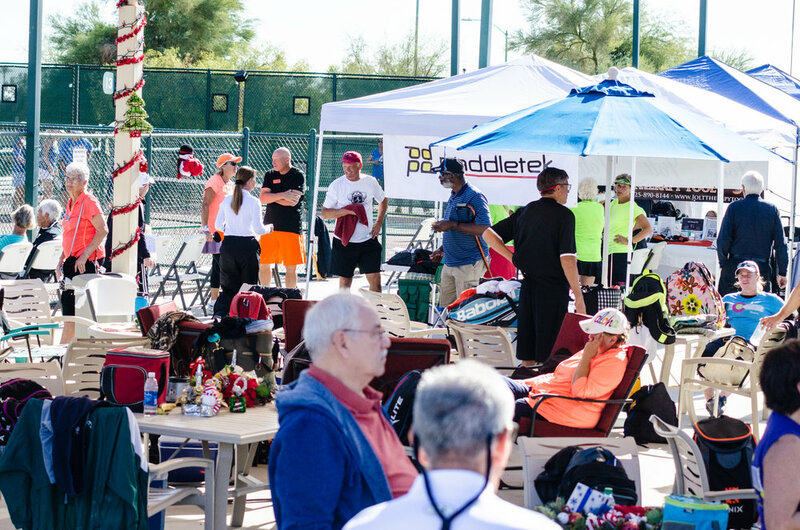 When you play in a World Team Pickleball tournament, you will know exactly WHEN and WHERE you will play. No waiting around all day to be called. All of our matches are scheduled in advance, with the teams and courts announced at the beginning of the tournament. 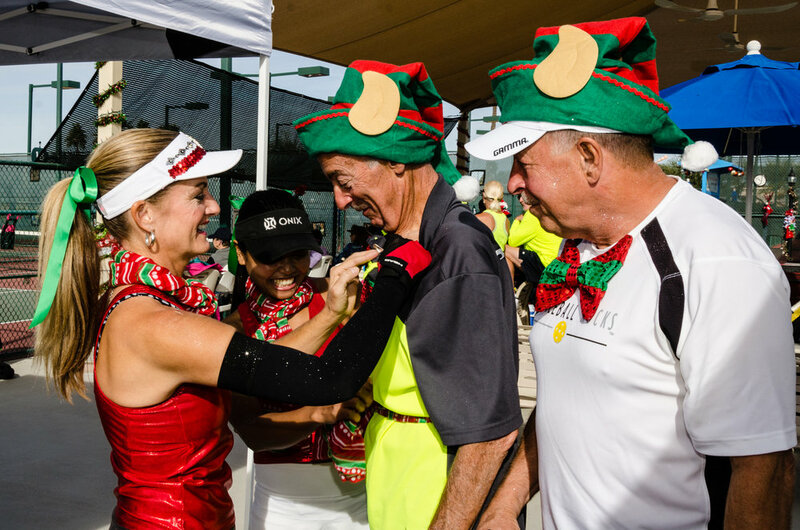 In World Team Pickleball tournaments, your team is never eliminated! You will play SEVERAL BACK-TO-BACK MATCHES each day of the tournament. Every match, every game, and every point counts toward your overall team totals! This is World TEAM Pickleball! You will cheer your team on as you work together to win as many points and matches as possible. Show us your "team spirit" by wearing team shirts, dressing in the same color, or wearing crazy accessories! Most of all...World Team Pickleball is about FUN! Make sure you have as much of it as possible! You will be playing MULTIPLE MATCHES over the schedule tournament day(s). Every team requires a Team Captain. The captain is given a packet with all their team's matches for the tournament. The Team Captain's responsibilities include recruiting players for a team, determine lineups for each match, and reporting scores to the Tournament Desk. Team Captains can also be a player. Players may also register as INDIVIDUALS. We will either help find or create a team for you! 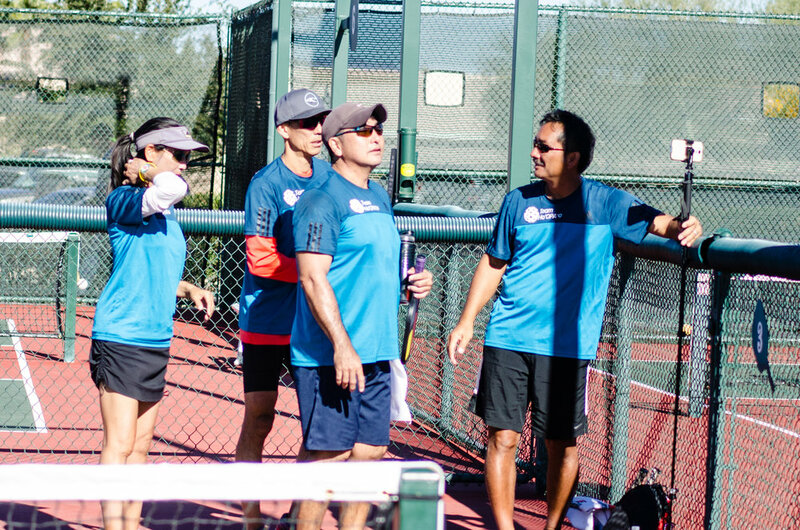 We offer Men’s Doubles Team Events, Women’s Doubles Team Events, and Mixed Doubles Team Events Divisions for tournaments. Teams need to play at the same skill level of the highest level player on the team. Each team will play 2 courts of doubles at the same time. Each court will play a regulation match (best 2/3 games). The Team Captains from both teams will collect the scores of all courts and document on the scorecard. The winning Team Captain will submit the scores to the Tournament Desk. Winners are determined in the following order as Matches and Rounds are accumulated. Courts Won (matches). If there is still a tie, go to #2. Fewest Games Lost (teams are rewarded for winning a match in two games vs three). If there is a tie, which does occur, go to #3. Total Points. If there is still a tie, one mixed doubles game to 15 will be played between the two teams. BUT WAIT! YOU'RE NOT DONE! Your team will get ready to play the next team...then the next team, and so on. When you are finished for the day, you can watch other teams play or go out and enjoy your evening. All Sectional Tournament winners will receive pre-qualified registration to the World Team Pickleball Championships. Winners are never wait listed!